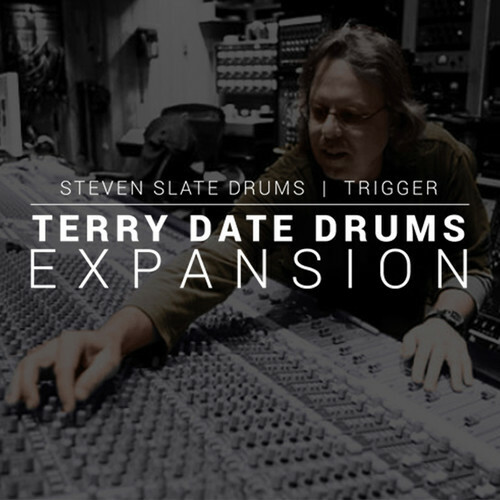 Available for download, The Slate Digital Terry Date Expansion Pack is a set of drum samples designed for Steven Slate TRIGGER. TRIGGER itself is drum-replacement software, one that allows you to augment or replace the sound of your recorded drums with well-recorded drum samples. With the Terry Date Expansion Pack, you get kits recorded by renowned engineer Terry Date at Henson Studios, Room B. These samples can be used in your mixes. They are particularly helpful if the drums you've received haven't been recorded well or if the style of the mix craves the Terry Date sound, a recognizable tone that can be heard on the records of Incubus, Soundgarden, Deftones, and more. To record these drums, Date used classic gear from SSL, Altec, Neve, and others, all in the loud, hard-surfaced Studio B of Henson Studios. These samples were miked and mix to cut through the wall of guitars often prevalent in hard rock, alt rock, and metal. Snares, kicks, and toms have all been provided for use in TRIGGER.